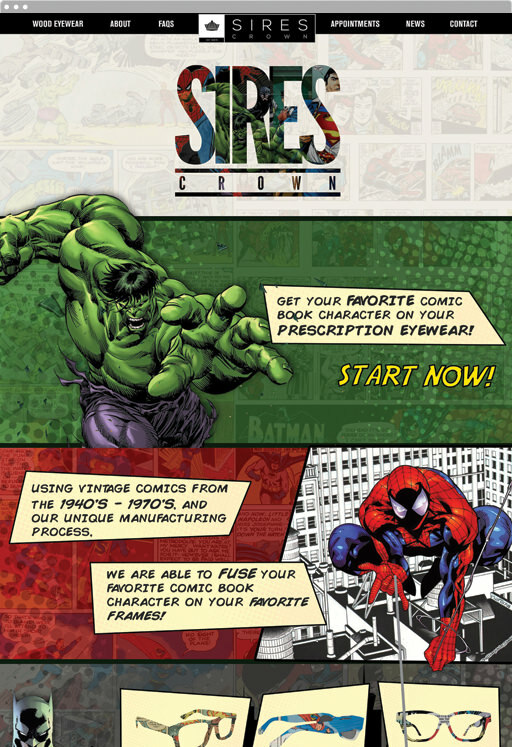 Sires Crown is an eco-friendly eyewear design company with a twist. Their mission is to create unique masterpieces, crowns so that you will enjoy your handcrafted wooden eyewear years from now. That in itself is an act that creates less waste, sending out a wave of positive change. The recently got their hands on some technology that allows them to print your favorite comic book characters onto any frame they offer. 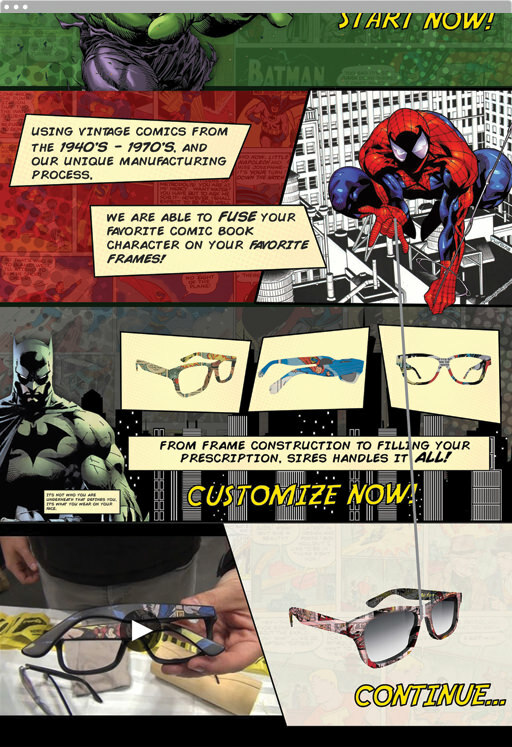 The result is truly unique and custom pieces of eyewear that you immediately fall in love with. 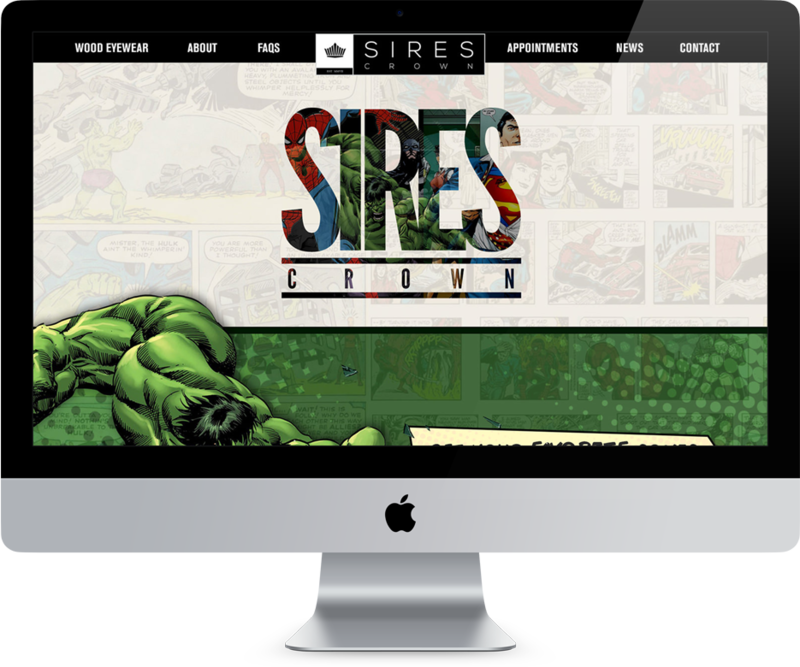 Using inspiration from comic book layouts and iconic characters we were able to create a web page that was fun for users but also hit key messaging points.